← How to convert a document of mht to tga image? There is an old saying which you may heard of—Half work and double results.It means you don’t need to do many thing but the result is much better than expected.Everyone hopes to “half work and double results” in their work.So you need the right method and right tool.When you convert mht to tiff image,you must hope to “half work and double results”,too.So the right converting software and right converting way seem to be very important. The software should have the function of converting mht to tiff.It also should be cheap,fast and easy to use.HTML Converter Command Line is such a kind of software which allows you to create previews or thumbnails of web pages in a number of different formats, such as TIF, TIFF, JPG, JPEG, GIF, PNG, BMP, PCX, TGA, JP2 (JPEG2000), PNM, etc. It also allows you to convert web pages to PDF, PS (postscript), WMF, EMF vector formats. You can download HTML Converter Command Line at http://www.verypdf.com/htmltools/htmltools.zip. There are main introduction to the software at http://www.verypdf.com/htmltools/index.html. More functions at the website http://www.verypdf.com/htmltools/htmltools-manual.htm. The right converting method will help you save a lot of time.Here are the steps to convert mht to tiff. 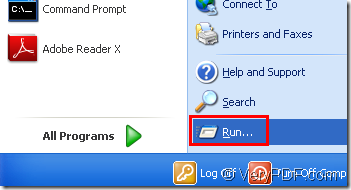 Click “start”—“run” like Figure1.Then input “cmd” in “open” edit box like Figure2.You can also use the hot key “Windows”+ “R”. 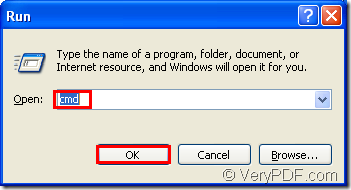 The command line should contain called program,source file and target file.There is a structure of command line in the conversion of mht to tiff. The following commands are the interpretations to the command line above. 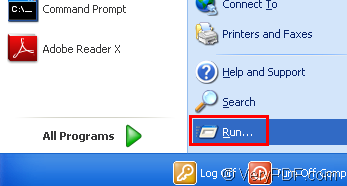 "C:\Documents and Settings\admin\Local Settings\Temp\htmltools\htmltools.exe" is the path of called program—htmltools.exe.The path is too long to input.So you can drag the file into cmd.exe dialog directly. "C:\Documents and Settings\admin\Google.mht" is the path of source file.It can also be dragged,too. google.tiff is the name of target file which you can edit yourself.But don’t forget the extension name. You can find the target file in current directory.Please see Figure3. How to rotate the page while converting emf to postscript?